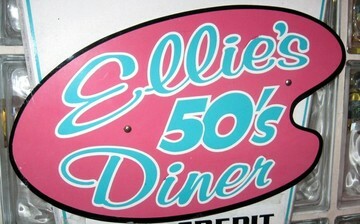 Our 50's Diner at Ellie's it all started with our 50's style diner. As our success grew so has our location. Now we are able to offer private banquets in one of two of our exclusive Marilyn Room and our Grand Flamingo Ball Room. Join us as we present many of the same era dinner shows featuring such acts as Elvis, Frank Sinatra, Dean Martin The Do-Wop Kids and many more. 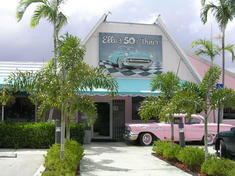 The 50's are the greatest memories to many of us at Ellie's. 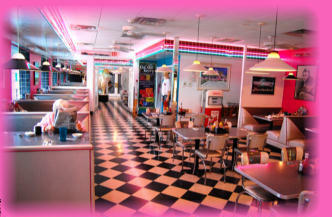 Every detail of the 50's style diners we knew growing up has been brought to life here at Ellie's 50's style diner. Much of the decor will take you directly back to the "happy days". 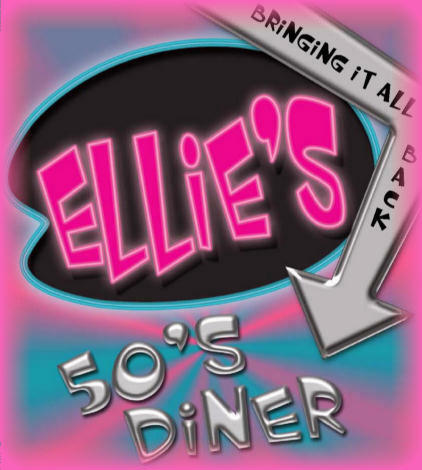 Join us for a relaxed meal at Ellie's and enjoy the hits of the era being played from our own 50's era juke box. At Ellie's all of our menu items are prepared fresh daily in our own award winning kitchen. Our staff will delight you with our friendly "welcome to our place" attitude. You'll delight in our true "Happy Days" menu selections. Breakfast, Lunch and Dinner our selections will surpass your expectations. At Ellie's we are bringing it all back to the 50's at our unique Diner. Every item on our complete menu is available for take out. 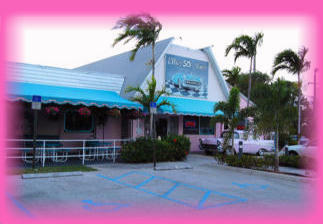 Ellie's Catering has catered Weddings, Bar Mitzvahs and Bat Mitzvahs in South Florida since 1987. As a full service caterer, we have always been able to assist you with all the details of planning your reception. Today, our professional team has over seventy-five years of combined hands-on experience. The years have taught us just how personal and sometimes challenging the planning of a Wedding, Bar Mitzvah and Bat Mitzvah is, so a member of the Ellie's Catering team is always available to smooth every step of the way. We take the opportunity to get to know each bride and groom and share in your excitement and pride on your Wedding, Bar Mitzvah and Bat Mitzvah day. Ellie's Catering will take your Wedding, Bar Mitzvah and Bat Mitzvah location backyard tent, beach location, Ellie's Flamingo Room, or any of the many prestigious Wedding, Bar Mitzvah and Bat Mitzvah settings in South Florida  and capture exactly the look and feel that you have dreamed of for your special day. Your Chef will be one of sophisticated experience. Your staff will be eager to please. Your menu, made of the freshest ingredients, creatively presented, served with quiet grace, will be the signature of your celebration.